It's pretty common for home buyers, especially first-time home buyers, to make a counteroffer mistake. Some buyers believe it's OK to try to negotiate the sales price of a home because they think sellers expect to counter the offer. Sometimes buyer's agents, who purportedly represent the buyer and often are required legally to follow fiduciary, will disclose to the listing agent the buyers will accept a counteroffer. That sort of bad behavior is telling the listing agent the buyers are not serious about the sales price they offered and that they will pay more. Generally, that is privileged information that the listing agent is not entitled to hear. But if the listing agent gets wind of that notion, you can bet it is likely the agent will pass on that little bit of insight to the seller. It gives the seller the upper hand in negotiations, and the buyer's agent did a grave injustice to the buyer, regardless of well-meaning intentions. It is not the seller's concern whether the buyer's agent has violated her fiduciary to her client, and the seller will undoubtedly use that information to the seller's advantage. Depending on how long the home has been on the market, the seller might choose to counter the offer to the original sales price. That results in a counter offer mistake for the buyer. Not what the buyer expected. Days on the market don't always make a difference in the sales price, and many homes that have been on the market for three months or longer eventually sell at list price. However, homes that are a relatively new listing will rarely sell at less than list price when they sell within the first week. It means the price was at fair market value. It is why it's not always a good idea to try to negotiate and expect the seller to counter the offer on a new listing, but there is another very good reason not to negotiate, which is often overlooked. The reason is most counter offers take a while to process. Precious time that opens a window of opportunity for another buyer to tour the home and write a full-price offer, perhaps with better financing and terms as well. 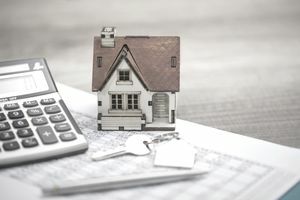 If you're the buyer who hopes to buy a home under these circumstances, you are probably not the only buyer in the marketplace, and your tastes in a home are probably not that different from any other home buyer. You can be pretty well assured that if you love the home, another buyer will, too. It's a terrible counter offer mistake to give the seller too much time to find another buyer who will pay more. Listing agent and seller discuss the terms of the offer over the phone or via email. Seller authorizes the listing agent to draw a counter offer, and the agent might very well suggest other aspects of the offer to counter as well. Things that both parties might have let ride if the offer was accepted as written but since a counter is desired, they conclude that they may as well include those items, too. The listing agent sends the counter to the offer to the seller for signature, who has since gone out to dinner and does not check her email until the following morning. Upon receipt of the signed counter from the seller, the listing agent emails the counteroffer to the buyer's agent, who might be attending her son's soccer game for the afternoon. Later in the afternoon, the buyer's agent calls the buyer to discuss the terms of the counteroffer and whether the buyer should accept the terms and conditions in the counter offer or if the buyer should issue a second counteroffer. More often than not, the buyer accepts the terms of the counteroffer. This is about the time that the listing agent notifies the buyer's agent that another offer has arrived, a better offer, and the seller is withdrawing the counter to the offer. See, too much time has passed in this scenario. More than 24 hours. That is plenty of time for another buyer to write a full-price offer, a tactic the first buyer neglected to do when presented with the opportunity because the buyer had hoped to negotiate. The buyer probably wanted to "save" $5,000 or $10,000 by offering less and did not view this strategy as a counter offer mistake. If the seller has no intentions of accepting a lower offer, there are no "savings" to be gained. Do not believe an agent who tells you the seller can "always counter the offer." Because even if the seller does, you can still lose the house if the home is still getting showings. Don't be that guy with the counter offer mistake under his belt.